Are you still wondering what the perfect Valentine's Day gift is for your "significant other"? 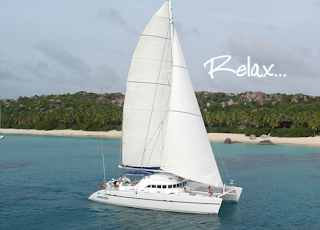 Well... what about a Caribbean yacht charter, sailing vacation. 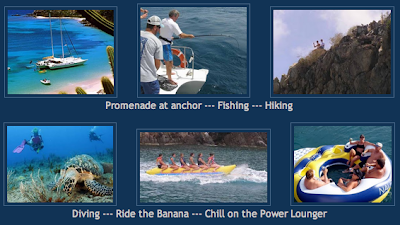 Whether it be for a couple or two, or perhaps just a good excuse for a family fun time, contact Paradise Connections and we'll be happy to send you a selection of yachts to choose from. By the way, SAFARI (the Lagoon, not the Gunboat) is still available and they have a special offer. See previous post HERE. Charter yachts WILD THING II and MOON SHADOW, 58-foot catamarans, have a special offer for February and March 2010 charters. Book a full week charter (6-person minimum) in the British Virgin Islands, and receive a discount of $3000 off their standard winter rate. 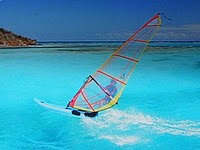 Watersports include: windsurfing, waterskiing, wakeboarding, snorkeling, kayaking, sailing. SCUBA diving for certified divers available at a fee of $35 per dive per diver. The charter yacht ALDEBARAN, a 57-foot Lagoon catamaran, has a special offer for February 2010. The popular sail dive charter yacht PROMENADE, a 65-foot trimaran chartering in the British Virgin Islands, is offering a special summer savings of 15% off their normal weekly rates. Only $17,990 for an 8-day, 7-night, all-inclusive charter for up to 10 guests! Valid dates are for new charters taking place during the period of May 15 through September 1, 2010. This rate includes 7-nights' accommodation aboard Promenade for up to 10 guests, crew, all meals and ship's bar aboard the boat, cruising permits, National Park fees, all activities and toys as advertised on board. Not Included: Crew Gratuity, SCUBA diving fees, air conditioning if requested overnight by charter guests, transportation to and from the yacht. Book Valentine's week (February 14, 2010) and get $1000 off the standard week's charter rate! SAFARI is a 2008 Lagoon 440 catamaran (44 feet) with a crew of two. They accommodate up to 6 guests in three double cabins, each with ensuite heads/shower. There is also the possibility of chartering for 7 or 8 guests for family charters with two children who can either sleep in the forward single cabins or in the salon... Inquire. MATELOT is heading to the South Pacific in the Spring ! 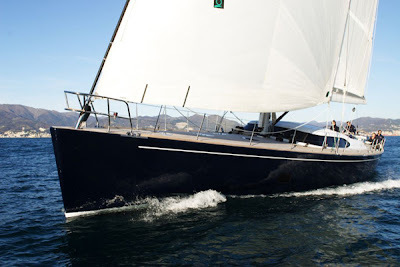 Matelot, an 80-foot Southern Wind sloop designed by Bruce Farr, will be available for charter in Polynesia this summer. Matelot is fully air conditioned and accommodates up to 6 guests in 3 cabins. The full-beam master cabin is forward and has a walk around king berth, settee and vanity/desk, along with ensuite head with separate shower. The other two guest cabins are identical with each having two lower single berths, along with ensuite heads and separate showers. Crew quarters and galley are aft with their own companionway. 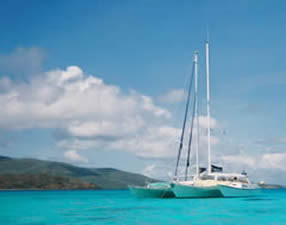 The catamaran Amaryllis is offering $1000 off their regular full-week rate to fill in their January 2010 calendar. They are currently open January 25-30. The motoryacht Flame is running a special for January and February 2010: all charters of a minimum of 4 nights will receive one night free! They will not be charging the premium for short term charters during this time period. Currently open NOW through January 24, February 1-28. 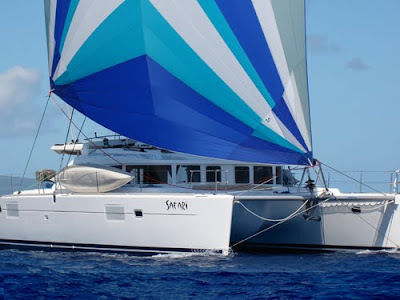 Synergy, 46-foot Beneteau sailboat, has a special rate for 2 person charters in January 2010 of $5400/wk. Have kids? No problem... Two kids can sleep in the salon. $300/wk each for kids from 5 to 10 years old. Currently available NOW through January 31. Verna Breeze, a 54-foot Gulfstar sloop, has a "Get To Know Us Special" which applies to the next 10 confirmed charters. $5,999/wk for 2 adults, and $500/wk for each additional child. Inquire for availability. CRYSTAL CLEAR - two specials! February 2010: Book Crystal Clear for February for a special Valentine rate of $5950 inclusive for 2 people. Book Crystal Clear for 2010 before March 15, 2010 and save 10% on listed rate.